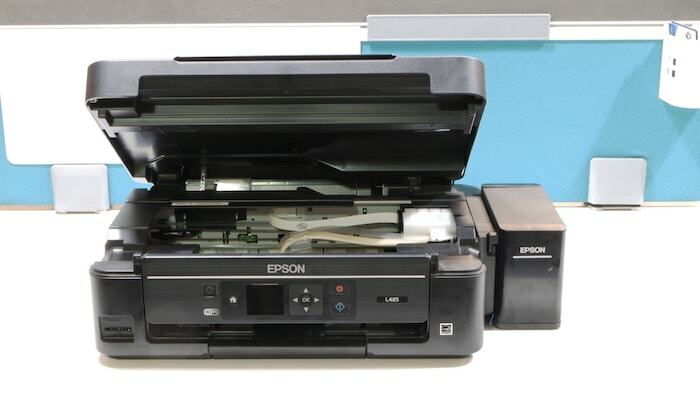 At first glance, Epson L485 looks like any other printer in the market, however, give it a closer look and you will soon notice the big ink tank that comes attached to the right side of the printer. The outside presence of the ink tank makes it really easy to remove and replace. When you come to the front of the printer, you will find all the buttons that you need to control the printer. The front is basically your main console from where you control each and everything about your printer. 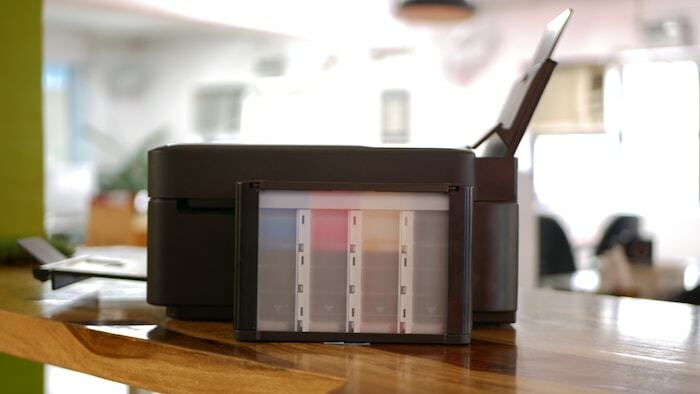 I love the fact that the printer also comes with 1.44″ color LCD screen which will help you in selecting printing mode, settings and any other feature that you want to access. The left side of the printer houses the USB connection which you can use to connect the printer to your computer, that said, I prefer the WiFi connection over the physical cables but more on that later. 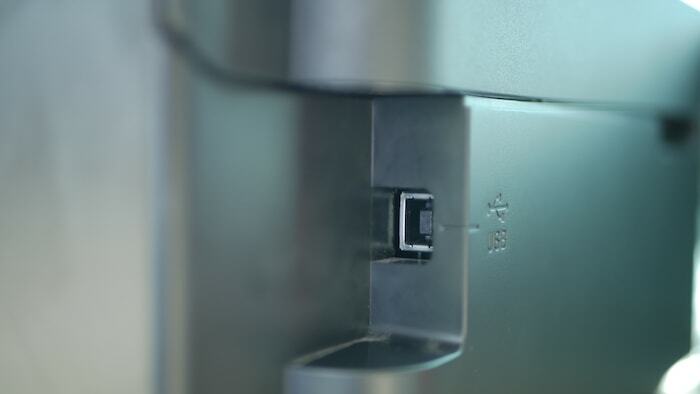 The power cable goes in the back of the device which is hidden behind a plastic hatch which gives the printer a very clean look. All in all, I am quite happy with the Epson L485’s design and build quality as the printer makes the controls very easy to access and navigate and packs a ton of features while keeping a minimum footprint. At 6 Kgs the printer is also fairly portable and easy to carry around which makes it handy if you need to move around your printer a lot. As I mentioned above, you can connect the printer to your Windows PC or macOS system using the physical USB connection, however, there are a lot of other connection options which really show the versatility of this printer. The best way to connect the printer is using the WiFi option. 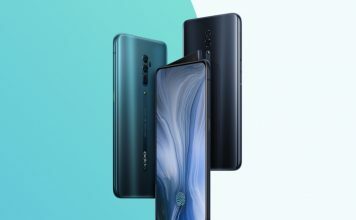 Just connect the printer to your home or office WiFi and all the device connected to the network will be able to use the printer. 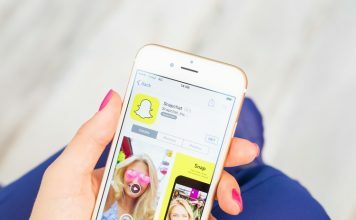 If you don’t want to make the printer publicly available, yet want to cut the cord, you can use the printer’s WiFi Direct feature to connect it to your device. The WiFi Direct feature ensures that the printer is only available to the devices you manfully set it up with. 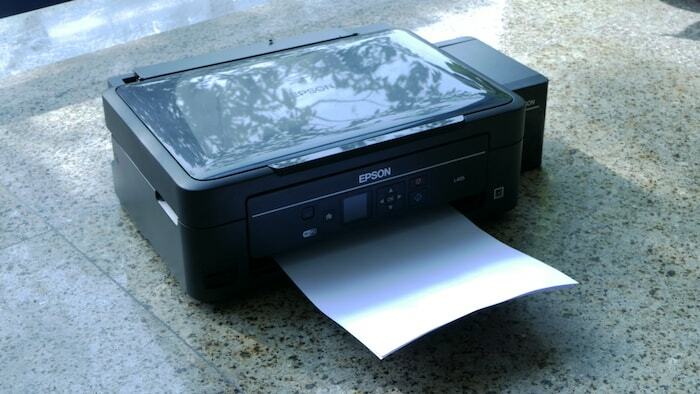 Epson L485 is also compatible with Apple AirPrint, Google Cloud Print, and Mopria Print Services technologies, so you really have a lot of options to connect the printer to a device of your choosing. To me, the best part of going wireless is the fact that, Epson L485 is also capable of receiving print commands from your mobile devices. 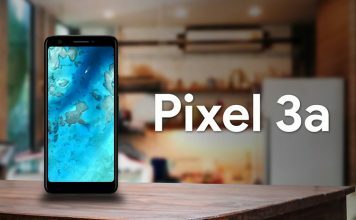 The printer supports both iOS and Android platforms. To print something using your mobile device, all you need to do is download the Epson Print app (Android / iOS) and give all your print commands from the app. 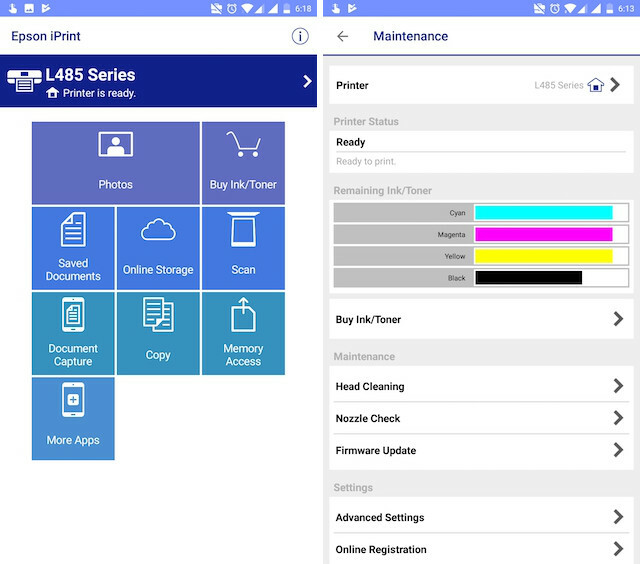 The Epson Print app not only allows you to print documents or pictures using your mobile device, but it also allows you to check ink status, run maintenance, download firmware updates, and remotely control all the functions of the printer. The wireless connectivity along with the Epson Print app really makes this printer fell like a smart printer. I was happily surprised the Epson L485 printer’s performance and I can tell you that it’s one of the best printers I have used in a while. In my testing, the printer consistently churned out great prints with no lost details. The black and white prints are perfect and the L485 can easily churn out over 30 pages of print per minute. When it comes to paper sizes and capacity, the printer supports different paper sizes including A4, A5, A6, and B5, and has a capacity of holding 100 sheets at a time. When it comes to color prints, the printer does slow down a bit which is understandable. In my testing, the printer was able to print anywhere between 9-12 pages per minute. Speed aside, I really liked the color accuracy of the printer as the printed material was nearly identical to the digital material. That said, when printing complex images, the printer didn’t perform as well as it did while printing documents. The details were slightly faded and the overall image quality was a little below par. However, since I wasn’t using a glossy paper, the problem might have been the paper and not the printer itself. 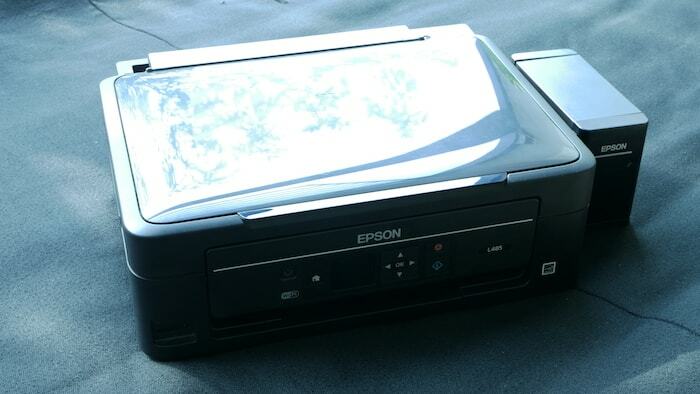 As the title suggests, Epson L485 is an all-in-one printer which means that not only it can print digital documents and images, it can also scan and copy the physical ones too. In my testing, the L485 took anywhere between 20-30 seconds to scan a page, which is at par with other printers in its price range. When it comes to copying Epson L485 can produce 99 copies of a document at once which is way more than what anyone would want. I have used the Epson L485 for only a week in my review period but I have fallen in love with it. I especially love the ink tank feature which allows me to forget about refilling it every other week and keeps the ink safe from drying even it left unused for over a month. That’s enough a reason for me to invest in ink tank printer than the regular ones. 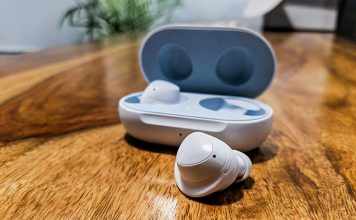 I also love the wireless connectivity features which allow me to print from anywhere and with any gadget that I own. I may be on my Android phone, or my iPad or my MacBook Pro, I can print a document if I need it. Overall, I think that Epson L485 makes using the printer a delight and not a chore which is not something I can say about most of the printers I have used in the past. 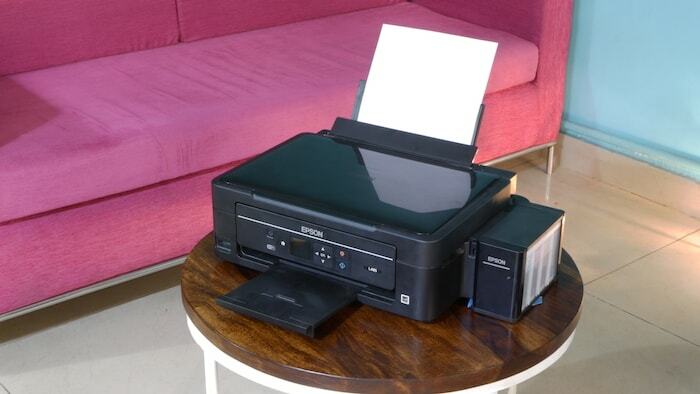 Epson L485 is a fairly capable L485 all-in-one printer which is good at what it does. 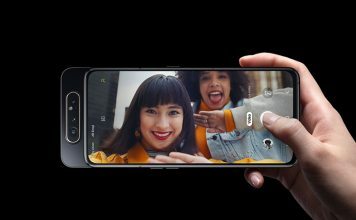 I love the connectivity options and the ability to print documents directly from a smartphone. As I mentioned before, the biggest achievement of Epson with L485 is that it makes printing an easy task and not a headache and for me, that’s a big win. 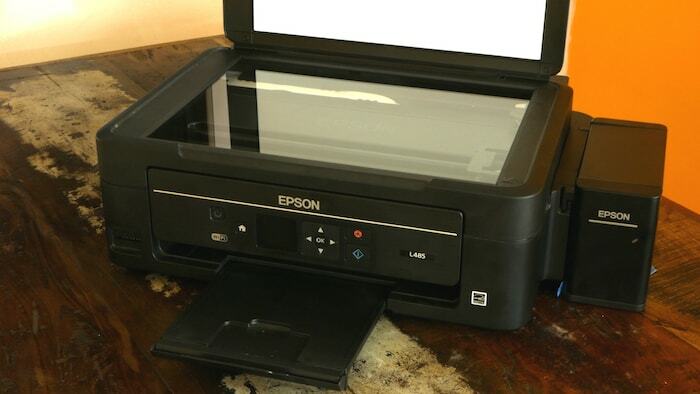 Epson L485 is a fairly capable L485 all-in-one printer which is feature-rich and good at what it does. But features aside, the biggest achievement of Epson with L485 is that it makes printing an easy task and not a chore, a fact which can't be said about most of the printers out there.